I've had this Bunny stamp for years but never used it. 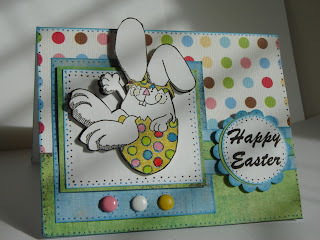 This Bunny was lost amongst hundreds of stamps... He's adorable! I definitely love that bunny! It is way cute! I can't believe you never used it. . .it's fabulous. I love how it "pops". Great job!